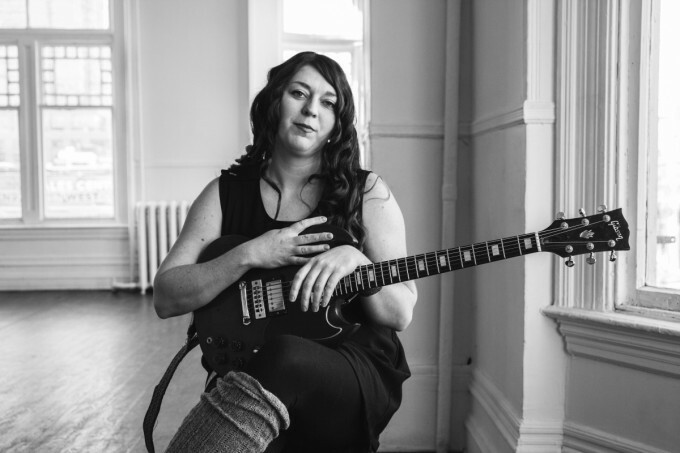 Terra Lightfoot is a mighty singer, songwriter, and guitarist based in Hamilton, Ontario. Somewhere between soulful folk and catchy rock ‘n’ roll, Lightfoot’s music is acclaimed and earning her a reputation, as a rising star in Canada. Her latest album is Every Time My Mind Runs Wild, it’s out now via Sonic Unyon Records, and she’s touring right across Canada this summer. Terra and I met for a chat recently and so here we discuss Sonic Unyon’s Silverado, home owning, the dead mice, down by the bay in Hamilton, a brewery and an arena and a park, driving to Ya Man! to meet Rita, touring around Hamilton, Lee Reed, Grandad’s Doughnuts, This Ain’t Hollywood, a plant from the Pepper Jack Cafe, Terra’s cousin and my friend Cheryl, meeting on a Go Train to see Weezer, gentrification, crawls, ordering some Ya Man! and not making a scene, The Princess Bride, forgettable journalists, Black Cabbage, Sheezer meets Weezer, getting into guitar where dudes are weird, teenage sexism, adult sexism, feeling othered, singing about Hamilton, a giant cross, classist perceptions of the Hammer, “our product is steel, our business is people,” buildings, cultural anthropology and ethnography, love songs, success, meeting Werner F’s expectations, Canned Heat and the Kinks, life happened, growing up a Lightfoot, duping profs, Scott Bakula’s niece, cornering Gordon Lightfoot, Sundown, Yellowknife and St. John’s, the Pan Am Games, the happy record, the song “Home to You,” and that was it man! Tagged Every Time My Mind Runs Wild, Hamilton, Sonic Unyon, Terra Lightfoot, Weezer, Ya Man!